The criminal laws in force in the Jervis Bay Territory (on the east coast of Australia, about 200 km south of Sydney) also apply to the HIMI Territory. Scattered relics of the 19th century sealing era and the first Australian National Antarctic Research Expedition (ANARE) remain on Heard Island today. 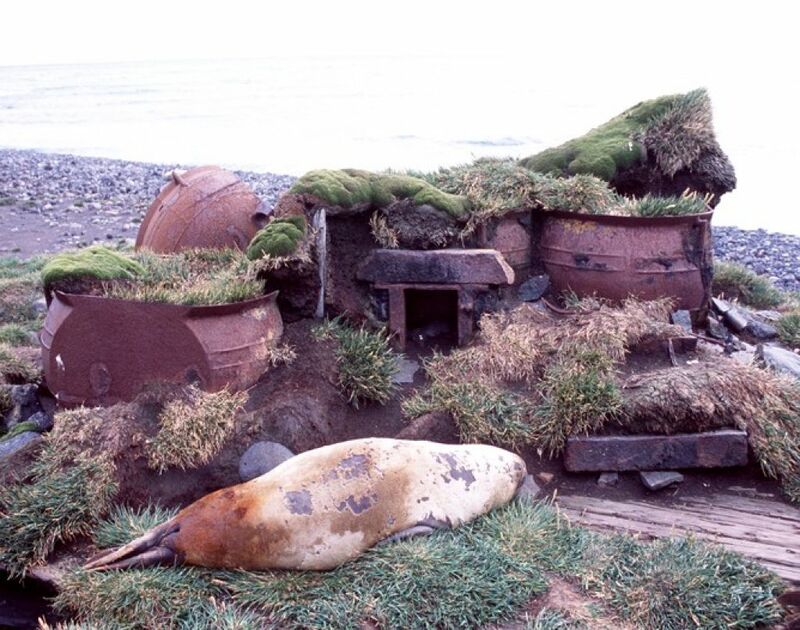 These relics are mostly found at coastal sites, where the sealers worked and lived, and include a variety of items such as stone platforms, hut ruins, iron melting pots, oil barrels and grave sites. Although the activities they are associated with would not be condoned today, these sealing sites are of historic significance and are identified in the Register of the National Estate listing for Heard Island and McDonald Islands. Surveys of sealing era material have been undertaken as a means of gaining further insight into the activities and lifestyle of those living on the island in the early years following its discovery. Beneath the imposing grandeur of Big Ben, the Australian National Antarctic Research Expedition (ANARE) established its first base at Atlas Cove on 11 December 1947. This was a prelude to the formal transfer of sovereignty from the United Kingdom to Australia, and the proclamation of the area as an Australian Territory on 26th of December 1947. The Atlas Cove station was closed down on 9 March 1955, following the establishment of Mawson on the Antarctic continent in 1954. During its nine years of occupation, ninety-one expeditioners wintered on Heard Island. They studied the island's animals, plants and rocks, the region's weather and atmosphere, and mapped the island. The station initially comprised 18 buildings, separated from each other due to fear of fire. By 1950, the first huts specifically designed for the conditions had been developed. By 1951, the station had increased dramatically in size to 35 buildings. There were five different types of prefabricated buildings and several traditional framed buildings. Many were constructed from WW11 surplus materials. An Atlas Cove, Heard Island Cultural Heritage Management Plan prepared by the Australian Antarctic Division identifies the heritage significance of the Atlas Cove ANARE station site. This Plan indicates that the Station site is significant because it demonstrates the sheer difficulties, tenacity, ingenuity, remoteness and isolation experienced by the expeditioners based on the island. bears testimony to lessons learnt by expeditioners in establishing Mawson station on the Antarctic mainland and closely parallels Macquarie Island station and its activities. Aside from building foundations, some machinery and scattered artefacts, there is little remaining. Adjacent to the station site, surrounded by cushion plant vegetation on Azorella Peninsula, there is cross that commemorates the deaths in 1952 of two ANARE personnel, Richard Hoseason and Alistair Forbes. These items, and a few other remnants at further distant parts of the island are also recognised for their historic significance in the Register of the National Estate listing for Heard Island and McDonald Islands.